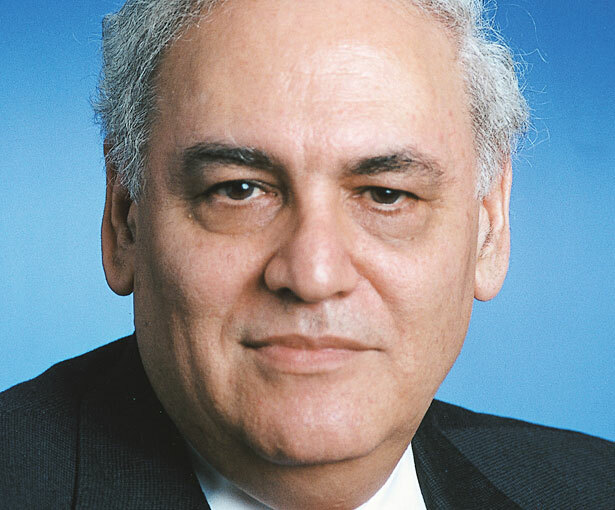 The sins of omission in interviewing neocons Richard Perle and Stephen Hadley. The war hawks are holding their breath: If they can just get through this week—the tenth anniversary of when they lied us into invading Iraq—without answering any “unreasonable” questions, they’ll be home free. And much of the press, in a small reprise of the obsequiousness that allowed the war in the first place, is proving them right. We can now add a couple of NPR hosts to the list of journalists reluctant to afflict the comfortable. Renee Montagne’s interview of Richard ("the Prince of Darkness”) Perle on Wednesday’s Morning Edition and Jacki Lyden’s talk with Stephen (“Yellowcake”) Hadley on Sunday’s All Things Considered were not terrible, exactly. They each asked questions that expressed skepticism about the war’s justification. But they also repeated the media’s failings in the run-up to the war, especially an unwillingness to contradict authorities on their “facts” while providing a platform for a pro-war spin-job. To be fair, Montagne did ask Perle, former chair of the Pentagon’s Defense Policy Board and one of the war’s most rabid advocates, one direct question that elicited such a twisted answer it made blog headlines. But while Montagne did pose that most obvious of questions, she didn’t follow up by saying, for instance, “Why can’t you go back and say we shouldn’t have done that?” or “Come on, after ten years, that’s the most reasonable question anyone could ask you.” Instead, she used just enough of “that anguished NPR-voice” (as Mike Tomasky put it) to suggest that although she knows the war wasn’t worth it, she’s loathe to make her guest squirm. Perle: Well, we had intelligence assessments from the CIA, from the Defense Intelligence Agency, from the State Department, from German intelligence, French intelligence, [then with a little laugh at just how many folks agreed with him] British intelligence, and they were all in agreement that Saddam possessed at least chemical and biological weapons, and there was debate about what remnant existed of his one-time nuclear program. Montagne: But at the same time, the connection to the terrorist attacks on September 11th and Al Qaeda, how to make that connection? At this point, Montagne might have asked, “You mean you panicked?” It would be impolite, and he would of course obfuscate, but it would cut to the chase: You’re supposed to be a leader, why did you and the rest of them react like a bunch of schoolboys in dark room who’ve been handed grapes and told they’re eyeballs? Montagne didn’t point out that the Bushies, including Perle, did not resort to nuance to connect Saddam and Al Qaeda—they simply asserted a non-truth, that chief 9/11 hijacker Mohammad Atta met months before the attack with an Iraqi agent in Prague. They connected the two so well, in fact, that in September 2003 nearly 70 percent of all Americans believed Saddam was behind 9/11. In short, by not following through, Montagne failed to make the real connections. Jacki Lyden’s interview of Stephen Hadley, the Bush national security adviser who took the blame for inserting the phony yellowcake charge into Bush’s 2003 State of the Union address, treated Hadley less as a perpetrator of the war than as an expert on the region. She let her neocon guest (now a senior adviser at the United States Institute for Peace, by the way) begin the chat with the same well-rehearsed talking point as Perle: While mistakes were made and the human toll was horrible (“clearly the situation got away from us,” said Hadley), no one’s responsible because everyone agreed that Saddam had WMD. Hadley: Republicans thought he had them, Democrats thought he had them, the Clinton administration thought he had them. The Bush administration thought he had them. Nope, again, not true. Lyden could have cited, for just one example, UN chief weapons inspector Hans Blix, whose request for more time to find those nonexistent WMD was rebuffed by the Bush administration in its rush to war. I think the central judgment that [Saddam] was a man who was a national security threat to the region and to us here at home was true. And if you think about what Iran is doing in terms of pursuing nuclear weapons, you can bet Saddam Hussein would not have been left behind. Rather than contest those dangerously loony leaps, Lyden moved on to ask whether we met our objectives in Iraq. And so on. The Hadley interview starts at 7:48. And that’s the really galling thing about this week. Yes, most supporters of the war now agree, there were no WMD; yes, it cost too much in blood and treasure. But few (with exceptions like Andrew Sullivan) are saying they have blood on their hands—they’re saying they didn’t know, or they couldn’t be expected to know, or But, mom, everybody was doing it! That’s what happens when the press fails to do something as basic as ask good follow-up questions: It not only encourages war criminals to mumble the same pathetic excuses, it wears further away at fact-based logic itself. We can only imagine what the neocons will be saying on the twentieth anniversary of the war. Also read Greg Mitchell on the many excuses that have been made for the unjust war in Iraq.